If you’re a newcomer to Cologne, you’ll quickly realise that the city has a lot to offer in terms of art and culture. Fabienne Kylla, a communications intern at KölnTourismus, loves museums not just because of the art, however – she appreciates the special atmosphere there, too. 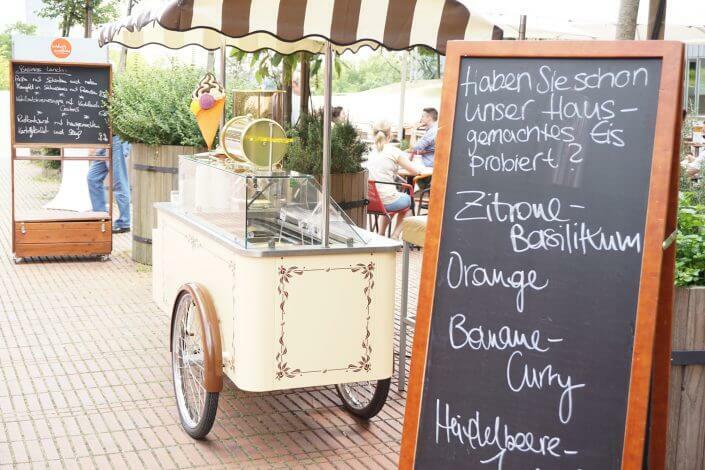 And if you’re a foodie like her, you should definitely check out her four favourite museum-based eateries in Cologne. Opening the door to the Museum of Applied Arts Cologne (also known by its German acronym MAKK), I enter that atmosphere of calm that is so typical of museums. I cross the entrance hall and head straight for Holtmann’s café. 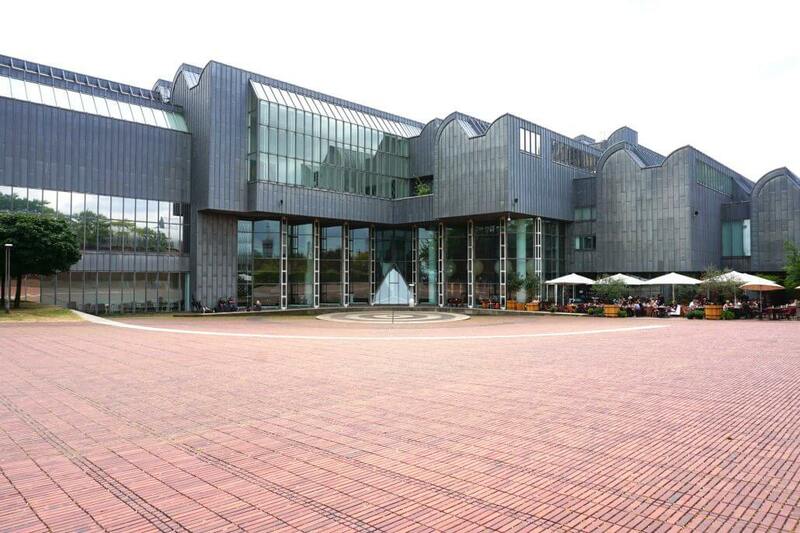 The interior is striking, a mix of modern and retro – very fitting for a museum that specialises in art and design. 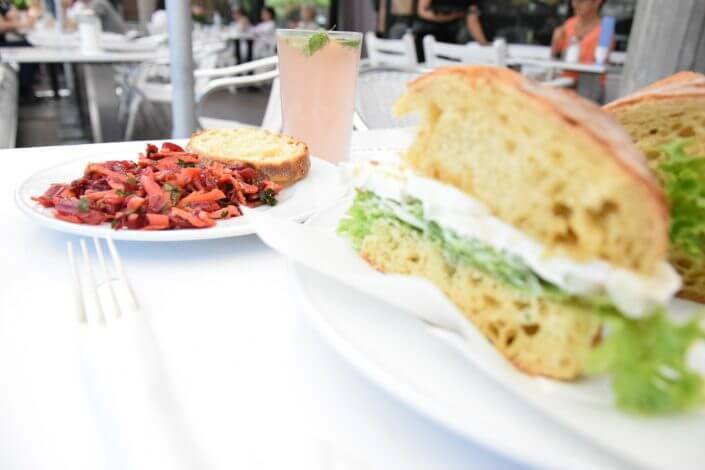 The menu leans toward coffee and cake, but also features baguette sandwiches, stews, salads and savoury snacks such as homemade meatballs. There’s also two breakfast options for EUR 8 and 10, respectively. 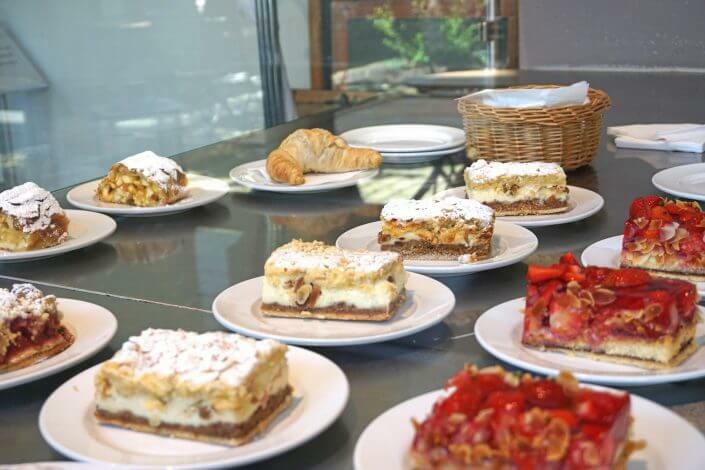 I spy five fresh-out-of-the-oven cakes in the glass display case and opt for a classic German Käsekuchen, or cheesecake, also available with a coffee of my choice for EUR 6.95. 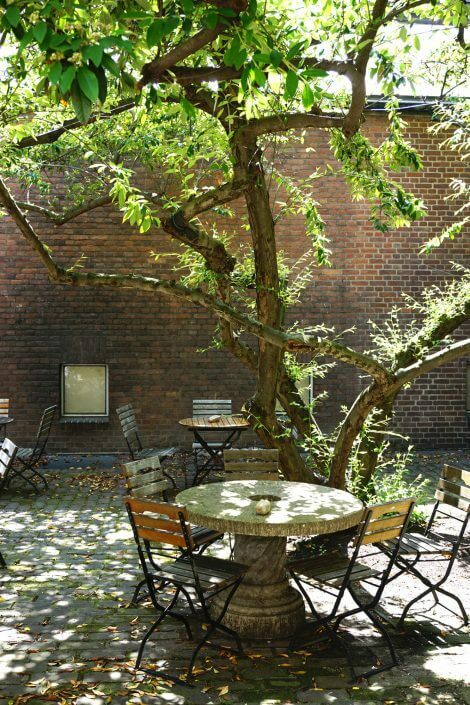 Holtmann’s idyllic open-air courtyard is great on a fair day – it’s an oasis of quiet despite the MAKK’s city centre location. The greatest asset of Schmitz at the Museum of East Asian Art (MOK for short) is the magical atmosphere of its outdoor seating area, an idyllic and calm patio looking out over the Aachener Weiher lake just outside the city centre – a wonderful place to relax especially in warm sunny weather. 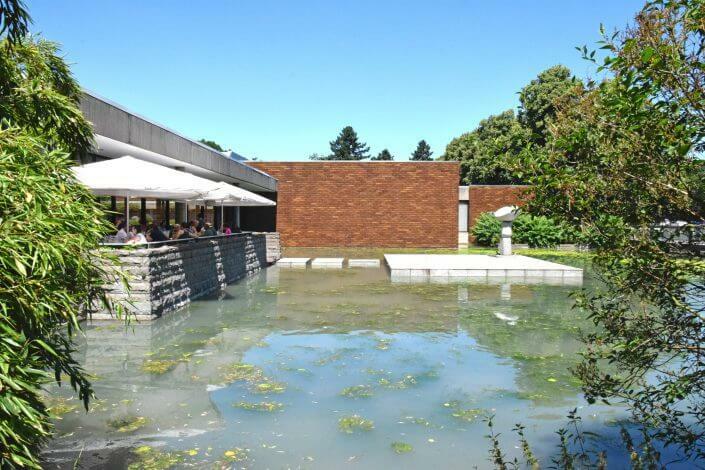 The Japanese-style pond is home to ducks and swans, with its larger cousin Aachener Weiher visible just beyond. Until noon, Schmitz offers a broad range of breakfast options, from savoury Strammer Max (bread topped with ham and fried eggs) to sweet pancakes. 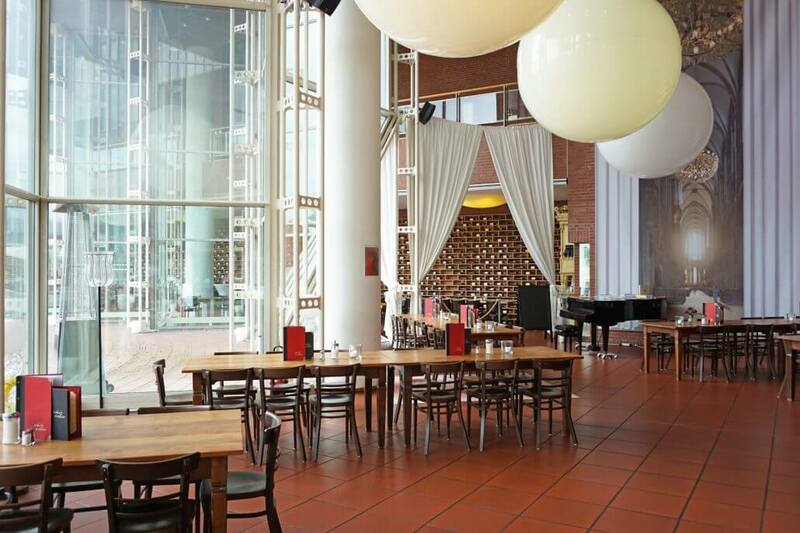 The daily lunch menu alternates between various hot dishes including pasta and soups. It’s 30 degrees in the shade, so I opt for a ciabatta roll with goat’s cheese, honey, lettuce and mint pesto – a great choice given the heat. On the side, I order a small serving of beetroot salad with carrot and chopped walnuts, with a refreshing rhubarb spritzer to wash it all down. My bill comes to EUR 11. Ludwig im Museum is a perfect location for a quick break– it doesn’t get much more central than this. 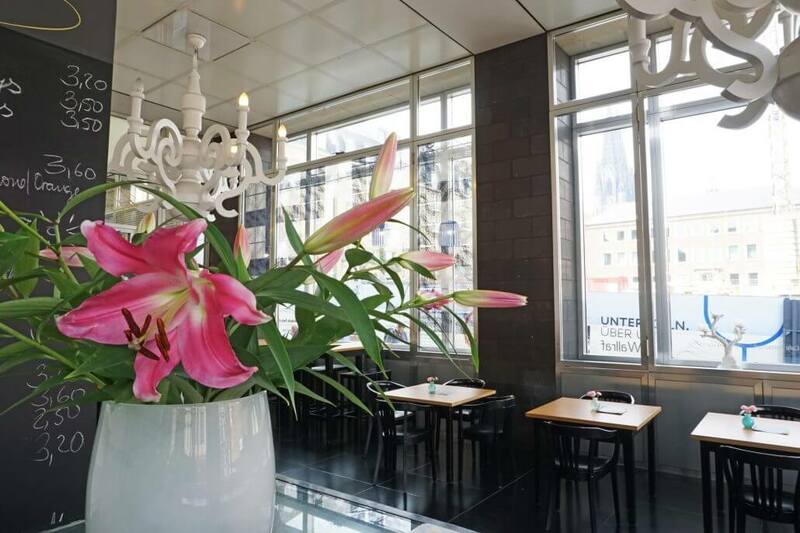 The café is within spitting distance of the Cathedral and the main station, with a generous seating area both inside and out that offers pretty views of Hohenzollern bridge and the other side of the Rhine. Ludwig im Museum is a restaurant, wine bar and café all rolled into one, with a menu featuring dishes composed of organic, seasonal and regional ingredients. 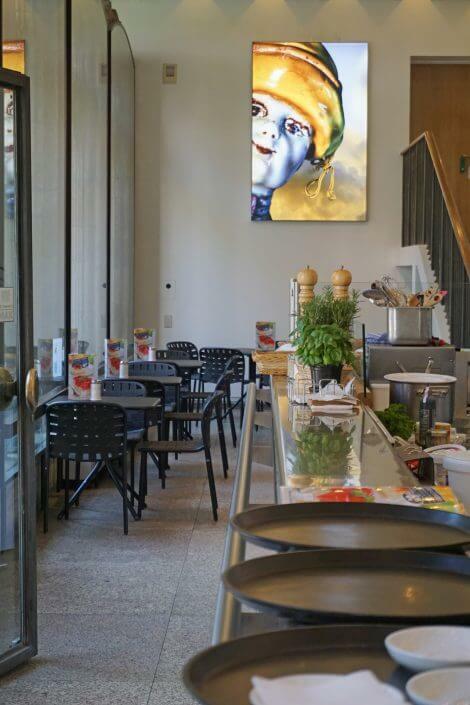 The herbs, for instance, are sourced from the café’s own herb garden and the wine is for the most part directly imported by the proprietors from Italy. Besides quality wines from southern Europe and Germany, the drinks list also includes cocktails and long drinks, non-alcoholic beverages and an extensive choice of coffee variations. The coffee beans are organic, roasted especially for Ludwig by a local roastery. 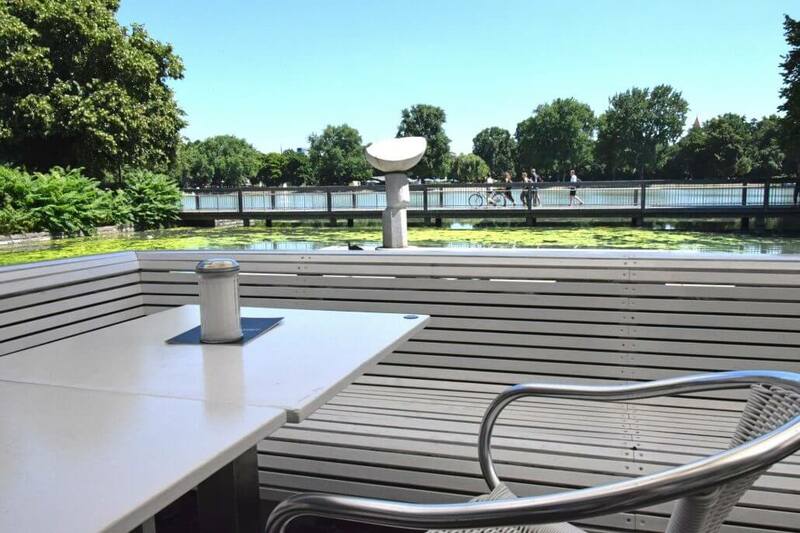 Stopping off here for lunch is not just a good choice for local office workers or businesspeople – the daily business lunch for EUR 8.50 is available to anyone. 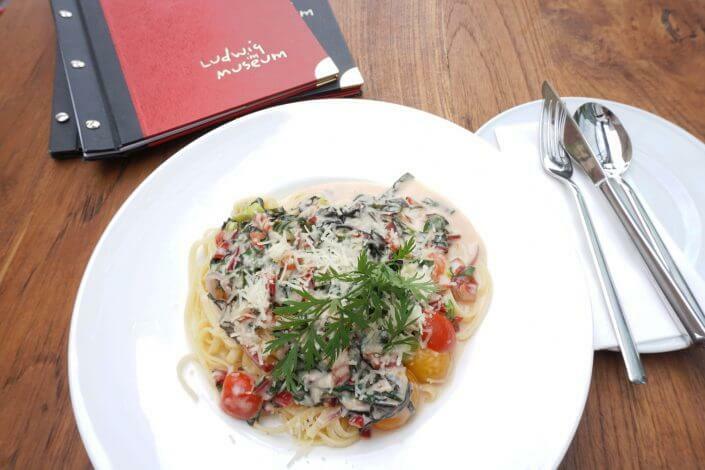 Today, the business option is pasta with ham, red Swiss chard and parmesan cheese, with the regular menu listing a number of modern, Mediterranean style dishes to be ordered à la carte. 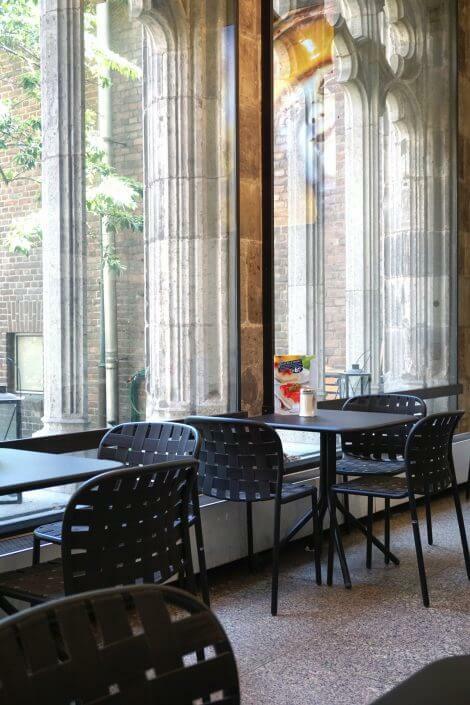 The café at the Wallraf Richartz Museum is located in the heart of Cologne’s historic old town between the pedestrian zone of Hohe Strasse and Alter Markt. Its large panoramic windows open onto the impressive Spanish-style old town hall and the construction site of the new Jewish Museum, with the tips of the cathedral spires thrown in for good measure. The stylish, somewhat extravagant interior grabs my attention, as does the jazz playing softly in the background – a perfect place to relax with a coffee and the daily newspaper. The lunch menu is written by hand on a chalk board; today’s choices are risotto with chanterelle mushrooms or asparagus ravioli with cherry tomatoes. Plus there are a number of cakes to choose from. 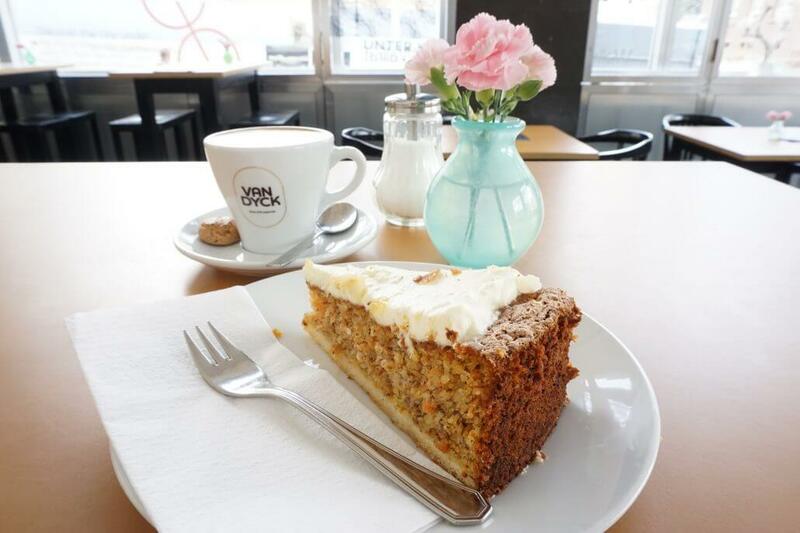 I go for a slice of carrot cake and a cappuccino – my favourite – for EUR 6.50 in total.